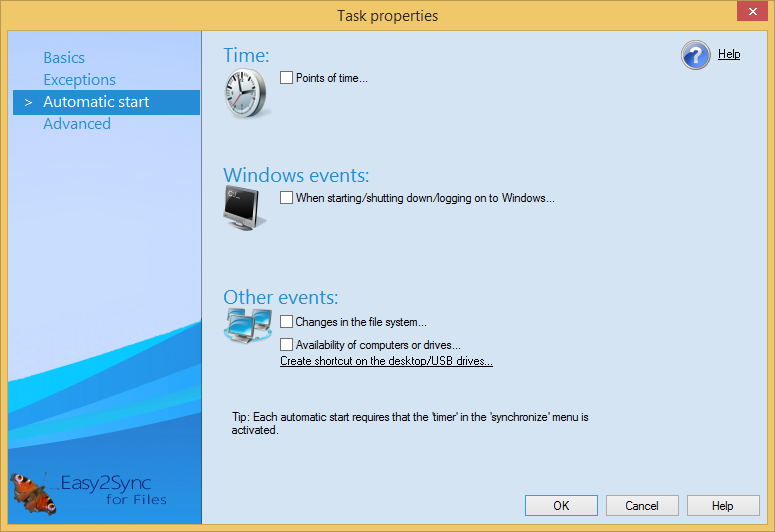 This dialog allows you to configure whether you want Easy2Sync to automatically start the synchronization process at certain times or events. For this, activate the respective option and enter the details in the sub dialog. To display the sub dialog for an option that already is active, simply click it twice. Important: Tasks are automatically started only if the menu item ’Scheduler’ in the Menu ’Synchronization’ is active. For security reasons it will be automatically disabled if a synchronization was canceled.